At the USC Thornton School of Music, Mr. Gilad has developed one of the most sought after clarinet studios in the world, evidenced by the number of new applications he regularly receives. The accomplishments of Mr. Gilad’s teachings can be best noted through the success of his students, many of which are competition winning performers and principal players in ranking orchestras throughout the world. Former students of Mr. Gilad are currently members of the New York Philharmonic, Cincinnati and Minnesota orchestras and the Stockholm, Sweden, Hong Kong, China and Seoul philharmonics. Mr. Gilad has also produced prizewinners of the New York Philharmonic Young Artists Competition, the Pasadena Instrumental Competition, the Dos Hermanas Competition and other prestigious competitions. In addition to his positions as professor of Music at USC and as master teacher at the Colburn School of the Performing Arts, Mr. Gilad is regularly invited to present master classes and performances at music conservatories and festivals worldwide. He has been invited to such institutions as Kings College, Sweden, the Winter Festival in Spain, the Curtis Institute, the Mannes College and the Manhattan School of Music, among others. 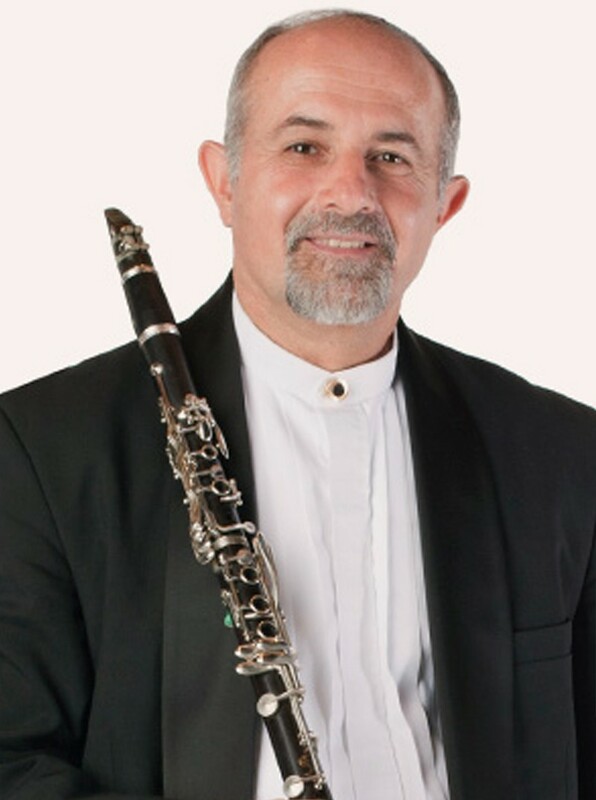 An accomplished clarinetist, Mr. Gilad has performed with the Marlboro Music Festival, Bowdoin Music Festival, San Francisco Chamber Music Festival and the Israel Philharmonic. He has collaborated as performer and conductor with many of today’s most prominent artists including Gil Shaham, Jeffery Kahane, Sara Chang, Joseph Kalichstein, Vladimir Fletsmand and David Jolley. Mr. Gilad has had an instrumental role in the founding and forming of several notable chamber ensembles and festivals. From 1982 – 1993 he directed the Malibu Strawberry Creek Music Festibal, an acclaimed annual event that provided Los Angeles with “a summer festival in which inspired, enthusiastic performance and intelligent varied programming are the norm” (Los Angeles Times.) Mr. Gilad also founded the Yoav Chamber Ensemble which performed at the Merkin and Carnegie Recital Halls, and the Colburn Woodwind Chamber Players, which toured Germany, China and major cities throughout the U.S.
Mr. Gilad’s success as a conductor equals that of his renown as a performer and teacher. For his contribution to music, Mr. Gilad has earned numerous accolades including the Distinguished Teacher Award from the White House Commission on Presidential Scholars, the Teacher of the Year Award from the Colburn School, the Israel-America Cultural Foundation Scholarship and the Robert Simon Award in Music. His former teachers include Herbert Zipper, Daniel Lewis, William Schaefer, Mitchell Lurie and Giora Feidman. In addition, Mr. Gilad participated in numerous master classes with Sergiu Celibidache and the late Leonard Bernstein. Dedicated to fostering increased public appreciation and support of classical music in the United States and abroad, Mr. Gilad has made frequent appearances on various broadcasts including NBC, CBS, WQXR, WMTR, KUSC, NJN, Cablevision, and the national television of Mainland China.